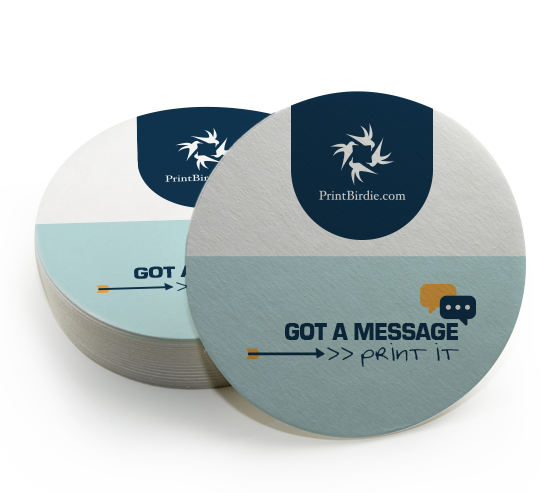 Did you know that beer mats are one of the best and cheapest promotional products for effectively spreading your message? 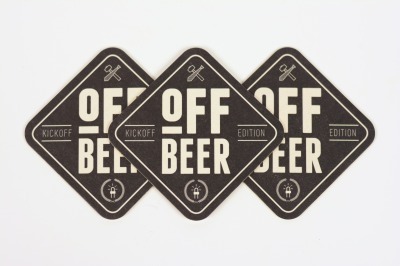 Everyone enjoys looking at, drinking from and playing with beer mats. 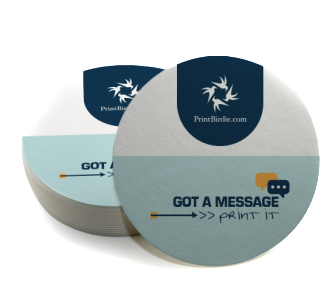 Combine your message with a luxury beer mat and allow your brand awareness to grow! 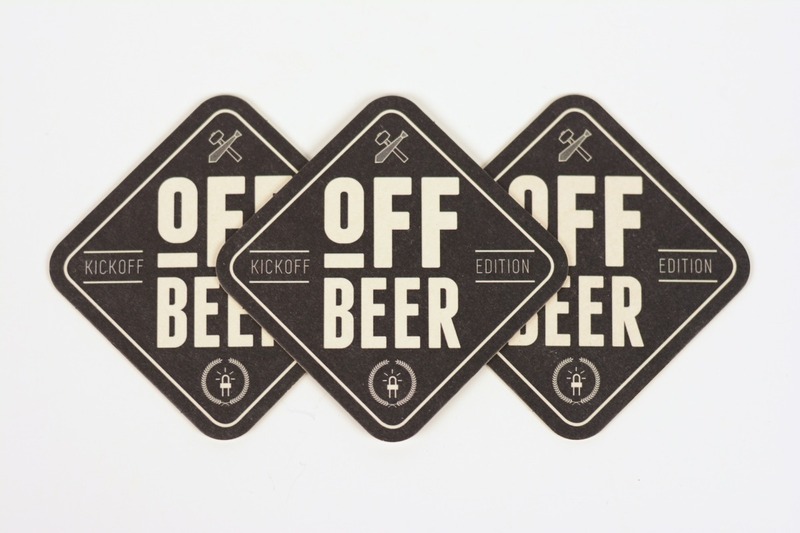 Just imagine your customer or invitee being involved with your logo, slogan or brand on his beer mat for at least 10 minutes. A perfect product for putting your business, event or product in the spotlight in a fun way. 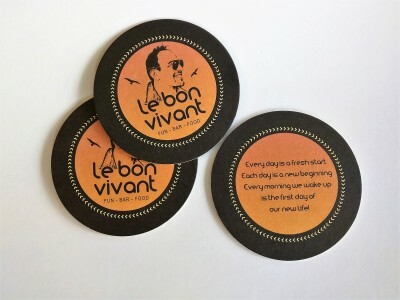 When they’re on a table, Beer mats are picked up and turned over multiple times, making them a very effective means of communication.